Hopefully, you've already seen our conversation with hot dad, Luke Perry aka Fred Andrews. If you have, you know how much Perry enjoys his scenes with on-screen son, KJ Apa. What Apa reveals during the interview you can watch below is the amount of screentime the two will share will be minimal during Riverdale Season 3. That's because as we now know Archie is paying a big price for Hiram's misdeeds. 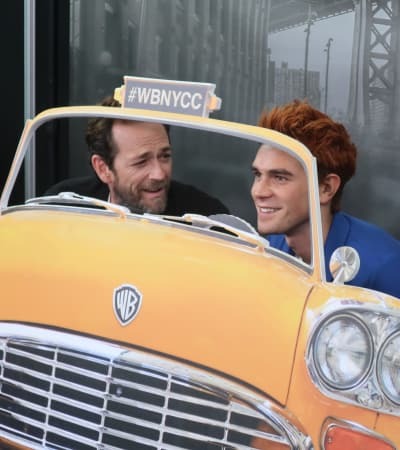 Related: Riverdale: From Pop Icon to Hot Dad, Luke Perry Still Makes Us Swoon! 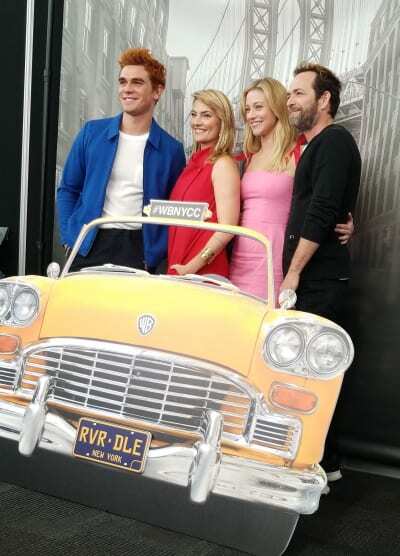 During that time, Archie will be forced to stand on his own two feet with nobody to lean on for comfort. After taking so long to form relationships with people he can trust, it's a shame Archie will feel so alone. But even though he'll be out of the line of site and his relationship with Veronica will be challenged, we know she's not giving up on him -- yet. Mysteriously, Apa mentions Veronica will mention some other people while he's away, but he doesn't clarify who those people might be. Related: Riverdale: Lili Reinhart Can't Wait for You to See More of Badass Betty! Apa also talks a lot about Archie's relationship with Fred, and how it parallels his relationship with his father. Growing up in the spotlight isn't easy, but it seems the younger cast of Riverdale is growing into their own and finding their way through the fame. Are you worried about Archie in juvie? Do you think KJ will do an incredible job as Archie grows into a man locked away for Hiram's crimes? Be sure to watch Riverdale online if you're not caught up with the story so far. You can find additional exciting conversations about the show each week with our Riverdale round tables. Be sure to join us! Riverdale airs each Wednesday at 8/7c on The CW! !